A patient was recently seen on the consult service for evaluation of hyponatremia. She had a history of multiple myeloma and a previous bone marrow transplant and had significant cholestatic liver dysfunction related to GVHD. Her serum sodium at the time of presentation was 120 mmol/L. The initial thought was that she may have SIADH but her serum osmolarity came back at 290 suggesting that we were in fact dealing with a case of pseudohyponatremia. The commonest causes of pseudohyponatremia are severe hypergammaglobulinemia and hypertriglyceridemia. Neither was present in this case. A previous case report in the NEJM in 2003 described pseudohyponatremia in a patient with cholestatic jaundice that was felt to be the result of accumulation of lipoprotein X. This is formed when there is reflux of cholesterol and phospholipids into the circulation from blocked biliary ducts. Because it is not soluble, it increases the solid portion of plasma and leads to pseudohyponatremia. A plasma sample confirmed to presence of lipoprotein X in this patient. One point that was raised during the assessment was that the diagnosis of pseudohyponatremia cannot be made by measuring the serum osmolarity alone. It is important to confirm this by measuring the serum sodium with a direct ion sensitive electrode as this will measure the sodium concentration in the plasma water alone and therefore give a true result. This is because there are occasional cases where a patient with true hyponatremia will present after ingestion of a large quantity of alcohol. In this case, the serum sodium will be low, there will be a significant osmolar gap (suggesting that the patient has pseudohyponatremia) but the directly measured serum sodium will also be low – confirming the presence of true hyponatremia. A few months back I was covering the inpatient consult service when one of our patients on peritoneal dialysis came in for an elective combined aortic valve replacement and coronary artery bypass grafting. She had recently switched over from in-center HD to PD and still had a functional arteriovenous graft in place. The surgery went well and the patient came out of the operating room to the cardiac critical care unit. As I sat reviewing the chart my attending posed the following question "So is it reasonable to continue PD here in the unit or should we switch over to HD until she's extubated and clinically improving?" Would the increased intra-abdominal pressure from PD lead to prolonged intubation time? Given the manipulation of the thoracic cavity was there a higher risk of dialysate leak through the diaphragm? Would we be able to provide adequate clearance and ultrafiltration with PD? Would the infection risk be higher for PD given the relative unfamiliarity of the nursing staff? A recent article in Peritoneal Dialysis International comparing perioperative outcomes in patients on PD and HD post cardiac surgery sheds some light on the situation. 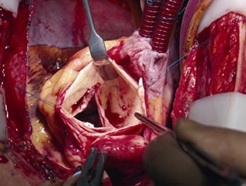 In the study the Southern California Permanente Group at Los Angeles Medical Center looked back at 15 years of CABG and cardiac valve replacement surgeries in ESRD patients and compared a variety of outcomes between 36 patients on PD and 76 on HD. There were no reported significant differences between the two groups at baseline including age, dialysis vintage, presence of diabetes, type of surgery and Charlson comorbidity index. The only statistically significant difference in terms of outcomes was a slightly longer median length of stay in the cardiac surgical unit for HD patients (4 vs 2 days) though the median total hospital length of stay between the two groups was no different (PD 9.5 days, HD 10 days). There was trend towards more infections in the HD group (19% vs 6%) but this did not reach statistical significance. Median intubation time was the same between groups. Survival perioperatively (defined as during the hospital stay or within 30 days of operation) and at one and two years was similar between groups (PD 89%, 81%, 69%, HD 90%, 78%, 66%). Conversion of PD patients to HD occurred in just 6% percent of patients. One for dialysate leak and another for uncontrolled azotemia. CRRT was needed in 1 HD patient due to hemodynamic instability. The study doesn't answer the question of whether converting a patient on PD to HD or CRRT might improve outcomes but it does provide reassurance that PD patients don't have an excessive risk of dialysate leak or inability to achieve adequate clearance and ultrafiltration. It also shows that in general outcomes post cardiac surgery between PD and HD patients are similar. In our patient we continued peritoneal dialysis using an automated cycler without difficulty. Over the weekend the covering team changed to HD via the arteriovenous graft over concern that PD might lead to a dialysate leak. Unfortunately the patient tolerated HD poorly with episodes of hypotension so we transitioned back to PD when we came back on. The rest of her hospitalization was without incident. Acute humoral or antibody-mediated rejection (AMR) is attributed to the presence of alloantibodies against the graft, which could be either antibodies against human leukocyte antigens (HLAs) Class I and/or II , non-HLA antigens or endothelial antigens. Diagnosis of AMR is made through tissue biopsy and presence of alloantibodies. Early treatment is of paramount for the preservation of graft function. Treatment strategies include removal of alloantibodies, decreasing or stopping production of alloantibodies, or attenuating the immune systems response to alloantibodies. Removal of alloantibodies is done through the use of plasmapheresis/plasma exchange or immunoadsorption. Plasmapheresis, or removal and replacement of one plasma volume, is effective at removing approximately 60% of the intravascular IgG which accounts for about 75% of the intravascular immune response. Extravascular IgG equilibrates in about 48 hours thus reducing total body IgG concentrations and reducing the effective immune response. Immunoadsorption works similarly to plasmapheresis except that plasma immune complexes and IgG are removed via protein A bound silica matrices. In the latter, the remaining plasma components are returned to the patient without the need for plasma exchange. FFP is needed even on the first run of plasmapheresis if recent biopsy was performed (prevention of bleeding). The cost of 5 treatments is about $4,600. Infusion of intravenous immunoglobulins (IVIG) has been studied at doses of 10 grams to 2 gm/kg as monotherapy or in conjunction with plasmapheresis or B-cell depleting agents. The mechanism of action is not entirely known but it is thought that neutralization of alloantibodies occurs when bound by the anti-idiotypic antibodies in IVIG as well as diminished plasma cell production by increasing total body concentrations of immunoglobulins and direct T-cell and complement cascade effects. Cost for IVIG is $77.06/gm resulting in $770.60 or $10,788.40 (dose intensity), based on a 70kg patient for each dose. Decreasing or stopping the production of alloantibodies requires therapies directed against mature plasma cells, memory B-cells or plasmablasts. 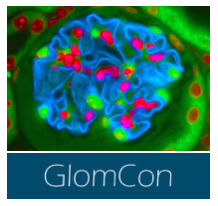 Targeting memory B-cells or plasmablasts has a delayed onset of action as this therapy prevents new plasma cells from being formed but does not affect currently active ones. A chimeric anti-CD20 monoclonal antibody, is dosed 375 mg/m2 or 1000 mg IV and given for one to two doses. The CD20 receptor is found on the surface of B-lymphocytes, including memory B-cells and immature plasmablasts, but not plasma cells. Rituximab has cytotoxic activity directly reducing B-lymphocyte and antibody levels. Cost for therapy ranges from $4,923.78 for dosing based on normal body surface area to $7,589.64 for a 1000mg dose. A proteasome inhibitor, is dosed 1.3 mg/m2 IV and given for four doses on days 1, 4, 8, and 11. Proteasome inhibition prevents protein biosynthesis resulting in apoptosis of the plasma cell and cessation of alloantibody production. Cost per dose based on a normal body surface area is $1,134.27. A humanized monoclonal antibody directed against C5, is dosed 600mg to 1200mg IV and administered weekly depending on alloantibody concentrations. Prevention of AMR is mediated by inhibition of membrane attack complex formation and halting activation of the complement cascade. Eculizumab is supplied as a 300mg vial for $6,638.40 or $13,276.80 to $26,553.60 per dose. A 41 year old gentleman with no past medical history presented to ER for nausea, vomiting and abdominal pain. Abdominal CT showed bilateral renal infarcts. His labs were notable for a Cr of 1.4, LDH 500 ESR 102. The commonest causes of renal infarcts are emboli from atrial fibrillation, infective endocarditis, or fat, renal artery or aortic dissection, fibromuscular dysplasia and vasculitis. Work-up including an EKG, ECHO, hypercoagulable panel and antiphospholipid antibodies were all negative. We performed an angiogram which showed diffuse visceral microaneurysms leading to a diagnosis of polyarteritis nodosa. Polyarteritis nodosa (PAN) is a systemic necrotizing vasculitis that affects medium sized vessels. It was first described by Dr. Kussmaul and Dr. Maier in 1866. The incidence of the disease is 2 to 33 per million population, with a male to female ratio of 1.5:1. The major environment factor associated with PAN is HBV infection. 5) Central venous system involvement. Without treatment, the 5 year mortality in patients with 0 risk factor is <12%, 1 risk factor 25% and 2 risk factors 56%. The standard treatment for FSS>1 is 12 months Cytoxan with steroids. 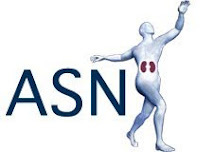 Renal failure is rare in PAN patients and uncontrolled or relapsing vasculitis is the most common cause of death. In our case, the patient was started on cytoxan and prednisone and his abdominal pain completely resolved. His creatinine unfortunately is still elevated and the plan is to continue with treatment for at least 6 months. 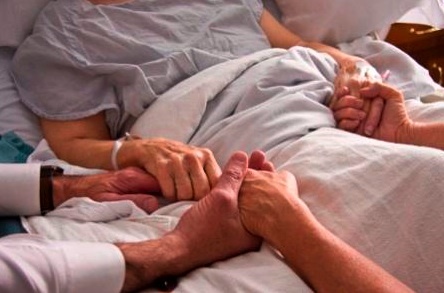 Kenar Jhaveri and colleagues are conducting a survey looking to help further the understanding of the palliative care experience of current US internal medicine subspecialty fellows during their residency and fellowship training. Nate Hellman, the founder of this blog, was a personal friend. We trained together as MGH Renal Fellows. It has been three years since his passing. I often wonder how much he would have achieved by now. For sure, he would be on staff at Mass General and on faculty at Harvard Medical School. He would be well immersed in setting up his independent research career. He would be the caring doctor we all knew him to be. And most certainly, he would be writing this blog. 41 yo M with no PMH was admitted with acute onset pain radiating to his R groin, 10/10, sharp and persistent. In the ER, he was found to have BP 188/116, mildly elevated Cr to 1.3, and elevated LDH 520. His CT showed bilateral renal infarcts and renal artery clot. HEENT: MMM, oropharynx clear; PERRL. Urine sediment: 1-2 WBC, 1-2 normal RBCs, no casts. 2. 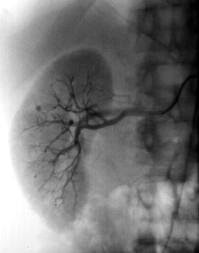 There is a focal, geographic area of decreased perfusion involving the upper pole of the right kidney. 3. A focal area of cortical volume loss and decreased enhancement in the left kidney is also noted, suggestive of scarring. 1. What is the differential diagnosis? 2. What diagnostic procedure would you perform? Polyarteritis nodosa – interesting and also likely, the patient is HBV negative, but could be “idiopathic” PAN. Given the above differential, a renal angiogram was performed which was read as consistent with medium vessel vasculitis, suggestive of PAN. The patient was treated with steroids and cytoxan and is presently doing well, with creatinine stable in the 1.4 range and no new symptoms. Still, we were left a bit dissatisfied with this outcome, as the diagnosis of PAN is not consistent with bilateral renal artery clot, which was clearly seen on CT in this patient. Please comment and let us know your thoughts! A 50 yo male with non-ischemic cardiomyopathy with ejection fraction of 15% presented with worsening dyspnea and renal failure (Cr 3 mg/dl). He was started on inotropes and was evaluated for heart transplantation. Nephrology was called since the treating physician thought this patient might benefit from a combined heart-kidney transplant. 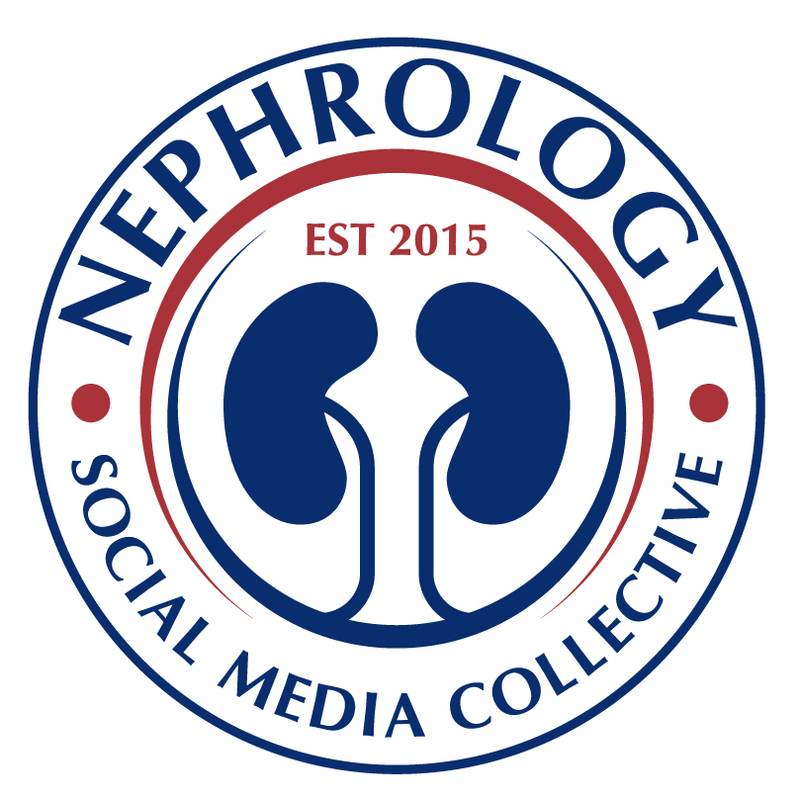 The presented argument on the first phone call was that by doing a combined transplant, we would decrease the need for a repeat surgery in the near future for a kidney transplant and possibly benefit of the lower rejection rate provided by combined organ transplantation. In the past, renal failure was considered a contraindication for heart transplantation. Nowadays, we realize that many of these patients have a considerable improvement in renal function once the cardiac output is optimized with the new heart. 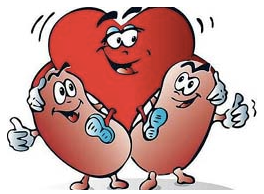 However, can we predict which patients might require a combined kidney/heart transplant rather than a heart alone? There are no randomized trials but a nice retrospective analysis from Columbia University suggest that neither the cause of heart failure nor the level of creatinine or proteinuria could reliably predict the renal pathologic diagnosis or the degree of tubular atrophy/interstitial fibrosis (TA/IF) of the native kidneys. 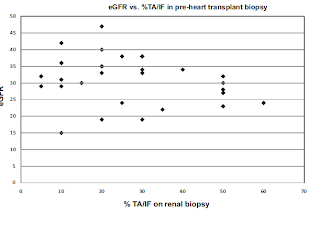 The figure below shows the absence of correlation between eGFR at time of transplant and extent of TA/IF. For example, two patients with ischemic cardiomyopathy, minimal proteinuria (100 mg/24 hr) and eGFR of 27.0 and 29.0 mL/min had TA/IF of 50% and 5%, respectively. Therefore, it seems prudent to perform a kidney biopsy on these patients. Certainly, other factors such as a prior high creatinine value and chronic changes on imaging could help, but based on the scarcity of organs, I believe the more information you have, the best decision you will make regarding organ allocation. Overall, patients that undergo combined heart-kidney transplant (HKT) do well and the rejection rate is lower than after a single transplant. The immunological explanation might be related to an increase number of circulating donor leukocytes that could induce a microchimerism and promote tolerance. However, this simplistic theory is not accepted by all. Patients with significant renal scarring are probably the ones who might benefit the most of combined HKT. In addition, a retrospective analysis of UNOS data suggested that low-risk heart transplant recipients with eGFR less than 30 ml/min would benefit the most (as an example, a younger patient not on LV assist device and not dialysis-dependent). More info here. The patient above had a kidney biopsy that showed ischemic nephropathy with less than 5% fibrosis. He was listed for a single heart transplant. His creatinine went down to 1 mg/dl one month after his heart transplant.